Checklist while selecting a POS Software. POS is fast becoming an important tool for the success of an business. It gives the exact picture of the business, helps you avoid fraud, improve efficiency and eases management of the store. If the POS goes down even for 10 minutes the business would reach a standstill. You need to be meticulous when choosing the POS. You can’t really change it everyday. Once bought you are stuck with the POS for sometime, due to fear of change. Below is our checklist that you can use while selecting a POS. Getting intelligent employees is getting tougher by the day for an brick and mortar store. Employees also leave jobs frequently. The POS needs to be as simple as possible, so that a person with minimum skills can use the POS. The speed of billing also improves with a simple POS. A complex POS would mean that lot of features are not used in spite of them being available. Knowing your customer is paramount. After all customer is god. Right now promotions are sent to all customers, we don’t know if a customer is buying lesser from the store or if he no longer buys from you. All of these have to change for a store to sustain business and grow. Go for a POS that helps you collect customer details and helps you analyze it. This will help in better serving the customer and also collect the invaluable customer data. All the billion-dollar valuation of e-commerce stores are based on their customer database. Get ready to compete with them. Locally installed POS’s are becoming the thing of the past. Monitoring and updating a local POS remotely is not possible. Any bug or update in the POS means a technician needs to come to the premise. You never get the latest features of the POS meaning you might be still stuck in stone age while others are moving forward. Go online and keep yourself updated on the status of the business. Using the latest technology available means you are improving the business everyday. When going online it is important the POS works fine when the internet disconnects. 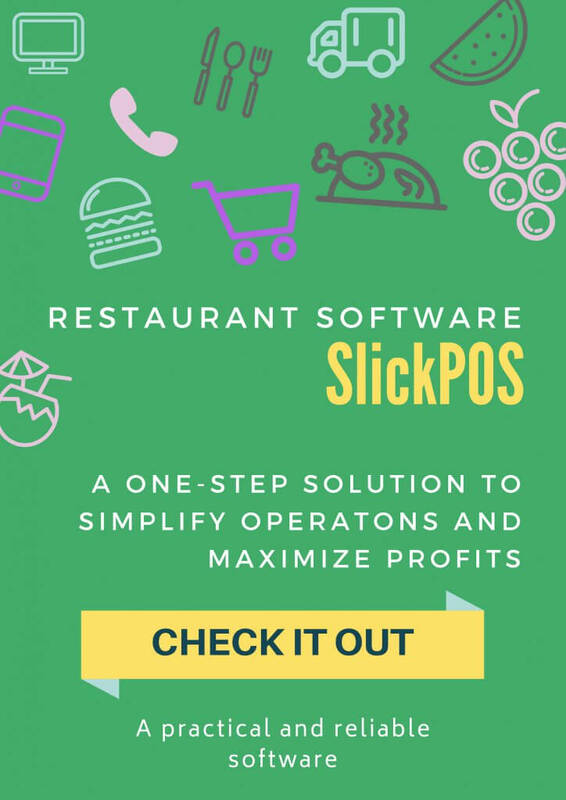 We at SlickPOS have built a solution that works seamlessly both online and offline. The POS falls in the critical path of any business. Reliability of the POS is the most important criteria while selecting a POS. Reliability means the system should be stable. But issues tend to happen with any software product. The key metric is how long it takes to get the issue fixed. Even if there are fewer features and the POS is little pricey, go for it if the product has good support. Avoid POS’s done by one person, because you never know when they would shut down. Customer support also becomes questionable. Try to go with a trusted vendor. Lot of us underestimate the power of reports. Business owners get a POS to make day-to-day operations easier. But they ignore the valuable insights that can be gained from the data collected. If a business owner gets intelligent reports from the POS it can improve the efficiency, save cost and even improve customer satisfaction. The reports can be as simple as sales pattern of an item, customer segmentation etc.. The POS you choose should have a good reporting platform, if not an intelligent one. Choose solutions that integrate with other tools you use for the business like accounting, delivery management etc… This avoids rework and error. With the technology available these things have become easier. Automation reduces a lot of headaches for the business. Vend is one such POS that provides a lot of integrations for your business. We are working hard to make SlickPOS check all the items in the checklist. To know tips and tricks to grow your retail business, follow us on Facebook or Twitter.